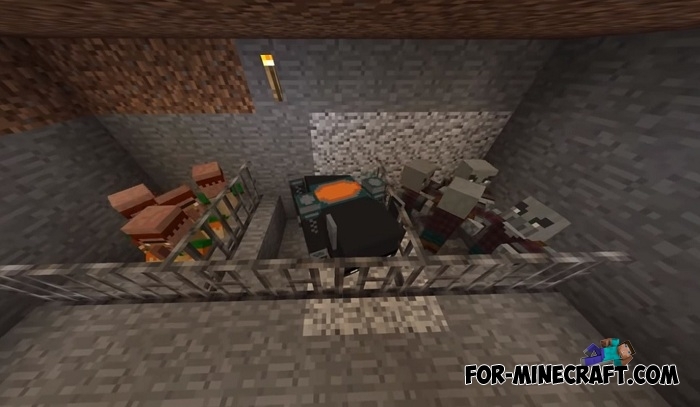 This should please you if you are looking forward to Minecraft BE 1.8 - the Village & Pillage Update. Go to the full article of the next update to see the rough changelog that is included in MCPE 1.8. But do not think that the update will appear in a few days, the first beta versions are announced at the beginning of the next year, and until then you can enjoy addons like this one. 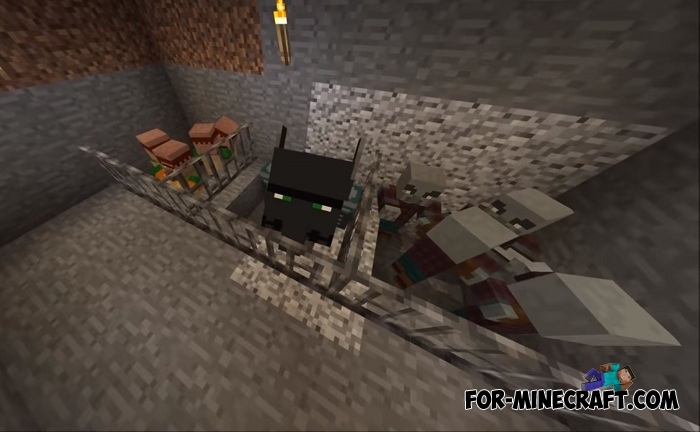 Pillagers and their evil beasts are so far the only new mobs of the Village and Pillage addon. According to available information, bandits (pillagers) will attack villages and kill and rob people. In their crimes, the beasts representing the big bulls dressed in armor will help them. Crossbow. This is an alternative for bows with both advantages and disadvantages. Crossbows do more damage that is more powerful than a bow, but a crossbow takes longer to reload, which can have a negative effect on battles. 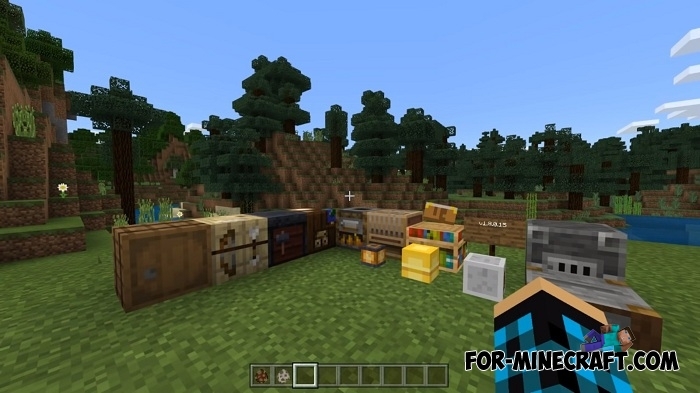 So far, the addon is being developed and filled with new features, besides, the developers have provided us with not so many details and therefore all functions are a concept and it is likely that Minecraft 1.8 will get completely different characteristics and an updated appearance of some mobs. How to install the Village and Pillage addon?